It's officially the season of celebrations! With so many great holidays coming our way, it's time to start preparing for all your holiday party entertaining with invitations, greeting cards, home décor, and finally music! The 12 Days WEEKS of Christmas! It's also officially twelve weeks until Christmas! We decided that it's something we want to countdown to. So each week we will be sharing a new holiday idea based on the 12 days of Christmas song. What's this week? 12 drummers drumming! 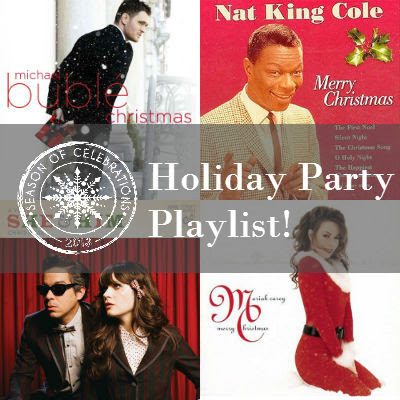 We're curated a holiday party playlist using Songza to give you the best mix of merrymaking music, have a listen! Listen now and save it for later! What's your favorite holiday song? Leave your choice in the comment below!